Last week I wrote in this space that WWE, especially the Raw brand, was on a roll due to an increased emphasis on solid wrestling. Monday night’s classic between Chris Benoit and Shawn Michaels drove that point home with a big exclamation point. Monday night’s main event showed why ratings are up for Raw. The 28-minute match was marred only by a pair of awkward commercial breaks and a predictable run-in at the end. Triple H’s interference served a purpose, however, in building a future storyline with Michaels. The two are scheduled to meet in a Hell in a Cell match at the Bad Blood pay-per-view June 13. A lot of the credit for Raw’s strong showing over the past several months goes to Shawn Michaels. Five years ago, following a fairly serious back operation, Michaels told me that he feared his in-ring career was over. Although not the most popular guy in the locker room back then, nobody ever questioned his ability inside a wrestling ring. Fast forward five years, and the 38-year-old Michaels looks like he hasn’t missed a beat. 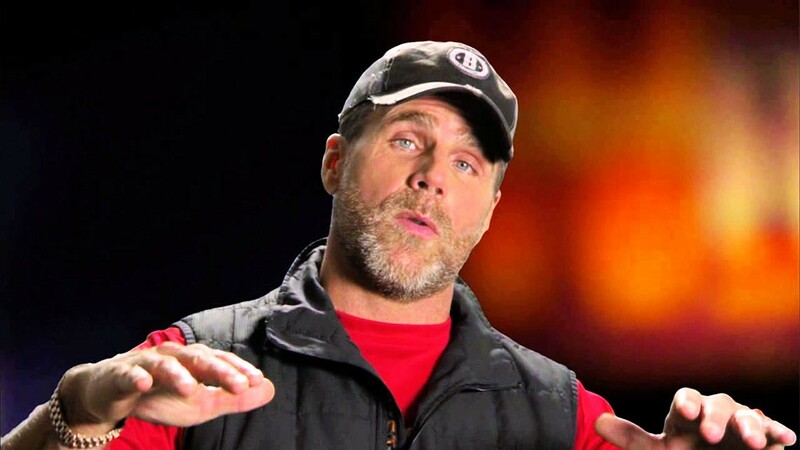 The Heartbreak Kid’s comeback over the past year and a half has been amazing. The fact that he’s now one of the most dependable and stable individuals on the roster only strengthens the argument for putting the world title on him at some point in the not-too-distant future. Credit Chris Benoit as well. The Canadian Crippler came back stronger than ever in the summer of 2002 after missing more than a year of action recovering from a broken neck. His accession to the world crown only validates what most folks have known for years – that he’s one of the top performers in the profession. While it’s not quite the difference of night and day, Smackdown is looking more and more like the red-headed stepchild in the WWE equation. Fan interest is on the wane, and with the marked lack of star power, prospects don’t look good for a healthy buyrate for the May 16 Judgment Day pay-per-view in Los Angeles. Desperate times require desperate measures, and the company pulled an old, but still tasteless, Fritz Von Erich trick out of the bag last weekend at a house show in El Paso, Texas, where family and friends were on hand to cheer on hometown favorite and WWE champ Eddy Guerrero. A major angle was filmed at the non-televised event in which John Bradshaw Layfield attacked the Guerrero clan during an in-ring celebration honoring Eddie’s family. According to the WWE Web site, Guerrero’s 76-year-old mother “was struck down with a heart attack during an incident that occurred in the ring.” Designed to build heat for the pay-per-view, the angle was replayed in its entirety Thursday night on Smackdown. Ironically, Guerrero’s mother reportedly complained of dizziness and lightheadedness after the angle, but those conditions later subsided. From the looks of things, it’ll take more than a heart attack angle and Layfield’s weekly ethnic bashing to drum up much interest for the Guerrero-JBL headliner at Judgment Day, which on paper looks to be one of the weakest PPV lineups in some time. A co-featured match between Booker T and the returning Undertaker also hasn’t drawn much interest, particularly with Booker jobbing to Taker in a series of short squashes at recent house shows. The role being played by Booker originally had been reserved for Brock Lesnar, who bailed out in favor of chasing a spot on an NFL team. Last week’s Smackdown drew a 2.8, one of the lowest non-holiday ratings in the show’s history, but it was going up against the finale of “Friends,” which posted a 29.8 broadcast rating. – Pepper Gomez, one of pro wrestling’s top stars during the ’50s and ’60s, passed away Thursday. Gomez underwent a kidney transplant several years ago and recently had fallen into poor health. Gomez, who held the Texas heavyweight crown a record 12 times between 1955 and 1963, was perhaps best known for his cast-iron stomach that he incorporated into his grappling act, along with a torrid feud with Ray “The Crippler” Stevens that set attendance records in Northern California. One of the most talked-about angles of that era occurred in 1962 when Gomez allowed Stevens to jump on his rock-solid abdomen from a ladder. Stevens instead executed his Bombs Away knee drop across Gomez’s throat, sending the Mexican grappler to the hospital and igniting one of the most famous feuds in wrestling. The angle was so effective that the subsequent grudge match sold out the Cow Palace, drawing more than 17,000 fans to a building designed to accommodate 15,000, breaking Elvis Presley’s record for the largest crowd ever to attend an event at the storied arena. Gomez’s muscled physique and golden smile made him one of the top babyfaces in the Bay Area throughout the decade, especially among the territory’s sizable Hispanic market. In addition to the Texas crown, he held the Texas tag-team title nine times, the NWA tag-team title in San Francisco four times and the NWA Northwest tag-team title three times. 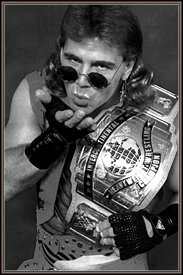 Among the other titles he held were the NWA Southeastern title, the Southern heavyweight title, the AWA tag-team title, the AWA U.S. championship and the WWA heavyweight title. A 1949 Mr. California, Gomez made his pro debut Jan. 6, 1953, in El Paso, Texas, under the tutelage of Mexican wrestling legend Miguel “Blackie” Guzman. Gomez blew out his knee in his first match, but ended up being a major star. Gomez wrestled into the early ’80s and later served as a greeter at a high-end restaurant on Fisherman’s Wharf in San Francisco where he was a major attraction. – Raw got a jump on May ratings sweeps by announcing five top matches for this week’s show. They include: Chris Jericho vs. Christian in a steel cage; Edge vs. Randy Orton for the Intercontinental title; Triple H vs. Shelton Benjamin; Batista vs. Yoshihiro Tajiri; and Eugene vs. Rob Conway. – Ric Flair’s autobiography, “To Be The Man,” is scheduled to be released July 6. – Local legends The Fabulous Moolah and Mae Young are expected to make an appearance at tonight’s Smackdown house show in Columbia. – Former ECW world champion Tommy Dreamer announced last week that he was done as an in-ring talent with WWE. His contract is up in July and was not going to be renewed. Dreamer reportedly will be kept on in a managerial role and may do some announcing as well. – WWE senior referee Earl Hebner, who has been out of action since undergoing shoulder surgery the day after the Backlash pay-per-view, is looking to return by Summer Slam in August. – NWA-TNA is scheduled to make its Fox Sports Net debut June 4. The group will have a 3 p.m. Friday time slot. – John “Bradshaw” Layfield has signed a contract with financial news cable station CNBC. He has already begun appearing on “Bullseye,” a program airing weekdays at 6 p.m., and he is scheduled to be on the show every Wednesday and Friday. “Bullseye” is focused on the markets, but also looks at pop culture, politics and more. – Among those scheduled to be inducted at this weekend’s Schenectady-based Pro Wrestling Hall of Fame were Mad Dog and Butcher Vachon, Harley Race, Verne Gagne, Terry Funk and Mae Young.